These are the most common insurances accepted by Dentists in Corpus Christi, TX. experience was great and staff was very friendly my daughter has a beautiful smile now thanks to cc braces. We had two kids go through the process at the same time. The experience was absolutely great! The team worked together so well and worked with us too. They always went above and beyond expectations to accommodate our needs and concerns. Thank you!!. Great experience fantastic dentist and a great staff. 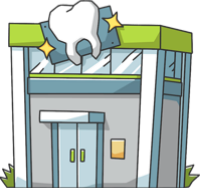 I have been to many dentist over the years but have never been to one like this. I have never had to experience on of those dreadful waits that I have had at many medical offices. Also this office sends me text messages to remind me of an appointment. The cleanings are always pain free and efficient. I plan on going back to this dentist for a long time..
You have been warned! Every piece of work that Dr. Yzagguire did needed to be redone immediately. I knew something wasn't right when i got home and looked at my teeth in the mirror. He said they were just stains from my previous fillings. I went to another dentist and told him what all had been done and he turned and looked at his assistant with this shocked look and said "I have no idea why he would do that". He was also not very helpful and a little condescending..... probably because of my young appearance (I'm nearly 30 but look 18) I tell anyone i know to stay away from this guy. Highly reputable practice in corpus christi!